Finding the right path to success can be a difficult process, sometimes you try things that really don’t fit, sometimes you do something that just doesn’t seem to work, you may even start doubting that you are capable of the success you want. Self-doubt can cripple any new business, and lead to making bad choices that only further set you back, but it doesn’t have to be that way. 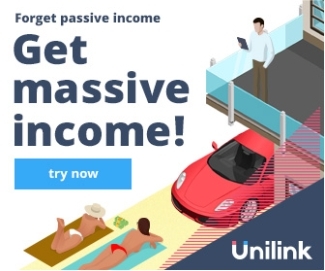 That’s why here we present you the most inspiring stories of people who succeeded in creating passive income streams and make money with affiliate marketing. Affiliate marketing is perhaps one of the best opportunities that young generations have ever had access to. The digital economy turned what was a relatively successful idea into a global phenomenon, with people all over the world creating passive incomes from the concept. However, that doesn’t mean you can just pick a program and see success, it still takes work. If you are struggling, don’t think it doesn’t work, or it won’t work for you, it does work, and you can build the thriving business and passive income you are after, keep going with your company and that success will come. Here are some examples of people who have been on your journey and reached the success that you are looking for. These situations can inspire, and show you where your perseverance can lead and are a great way to remind yourself just how great the opportunity you have found really is. A trained architect, Pat Flynn started his business inadvertently. Taking on a new challenging qualification called Leadership in Energy and Environmental Design (LEED), something only a third of participants pass, he decided to blog about his experience along the way. Part of this was for personal motivation, and part to show others the journey. That blog led to conversations with other architects on forums and ultimately, he came to be seen as an expert on the subject within the community. He did pass the exam, but then 3 months later came the financial crash and redundancy. That is where that blog became something he would try to turn into an income, because to his surprise, that blog was attracting a few thousand visitors a day. So, to see if he could monetize it, Pat Flynn used Google AdSense to place ads on his blog, not really knowing if that would come to anything. The first day he made $5. Creating more content, he started discussing his experience in making money from the blog and then began to promote products and tools that help in the process, using affiliate marketing to generate his income. His educational blog has gone through several iterations over the years, and more blogs and websites have been added since, and he now earns over $100,000 a month from affiliate marketing. He uses articles that teach ways to accomplish tasks to promote tools to make those tasks easier, the key point is that these are articles that offer real information and real value. He suggests that to get something back, a purchase from an affiliate link, you should give something in return, in this case, valuable information. From nothing to $100,000 a month in 10 years, and that is just his affiliate marketing income, Flynn has built his own courses and books that he sells too, along with attracting sponsorships for podcasts and other activities. His large audience has helped him leverage his affiliate success into a valuable brand. Success doesn’t mean the same for all of us, and while the example of above shows someone making vast sums of money and building a brand, that may not be for everyone. April Lewis’ success may seem modest by comparison, but for her, the level her business is at is precisely what she was after. April began with a small blog about her life as a single mom, more as a creative outlet than an idea for a business. That journey included learning many new skills, building a website, learning what monetization was, but it wasn’t bringing in a high income. April decided that she could use her newly acquired skills to gain some regular income by working as a virtual assistant, and here she learned about networking and building contacts, honing her writing skills along the way. At the time she was using a specific tool for her email marketing to find new clients, deciding to work with the affiliate program for some extra money as she was building the virtual assistant business. She started out with a simple blog post that outlines all the benefits of the product, along with video and other useful information as guides for getting the most out of it. This approach, providing valuable information alongside the affiliate offer, saw her go from $0 to $1,000 per month within just six months. Since then, she has refined this technique with other affiliate programs, and today enjoys an affiliate income of around $4,000 per month from her work. She has even managed to leverage this experience into a book, fulfilling her dream to be an author. Her approach is again based around offering value to the audience, and it has enabled April to build a brand that added further income too. Credit card rewards are something we enjoy, but probably don’t think about too much. However, the owner of the points guy website, Brian Kelly, thought about them a lot. So much so, that the entire site is devoted to getting the most from card points, including how to travel for virtually nothing by leveraging your credit card reward points. That site attracted a lot of interest, and although Kelly was in full-time employment when it started, he was able to leverage affiliate schemes to create a significant income from it, allowing him to give up his other job and run the site full-time. His website used affiliate programs for credit cards, flights and hotel bookings, all products he discussed regularly and has 2 and half million unique visitors per month. The affiliate income has given Brian a lot of freedom, he launched his own web series documenting his around the world journey, practicing what he preaches by using card points to power his travels. With a large Instagram following, as a result, he has become a serious social media influencer too, which opens the door for different income opportunities beyond affiliate marketing. The points guy shows that there is an opportunity in everything if you present it correctly. By using affiliate products directly associated with the subject he was discussing, once again, he was providing valuable information to the audience, who then go on to make purchases via his affiliate offers. There are endless success stories when it comes to affiliate marketing, these are just three. The key to all is that they offered an audience something to make them stick around, and that leads to sales. Its true of all three and is definitely something to think about in your own business. What is clear though, is that affiliate marketing can deliver real success at any level, and often opens doors to even more opportunities down the road. A cutting-edge affiliate tracking platform allowing real-time revenue tracking. Get access to a stack of effective engagement tools helpful in building and activating your multi-level affiliate network. Real-time stats for clicks, views, conversion rates and multilevel revenue income will help you manage your partners. With Unilink.io you can track the affiliates on a map, and expand your network with a great set of multilanguage designs for your campaigns.